Kenya and Tanzania offer a great variety for the adventure seekers. 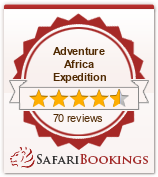 Combining a climbing expedition with a safari is a thrill you don't want to miss. Kenya offers best Missionary tour in most Kenya parts, the most affordable home stay Kenya mission safari with Kenya Students group and workshop. Kenya Missionaries packages offers basic understanding and challenges the Kenyan youth and teenage face in life. Empowering the youth through the youth mission tour for both Kenyan youth and foreigner’s youth helps them to create a better future. This is a volunteer safari as well as charity tour and 3 days short safari Northern Kenya and Central Region Circuit.